Get tips on picking the right outdoor materials to design your patio. There is nothing more boring than a plain slab of poured concrete for a patio. But if you insist on using it, consider a stamped pattern that is dyed with a coloring agent for a more natural look. 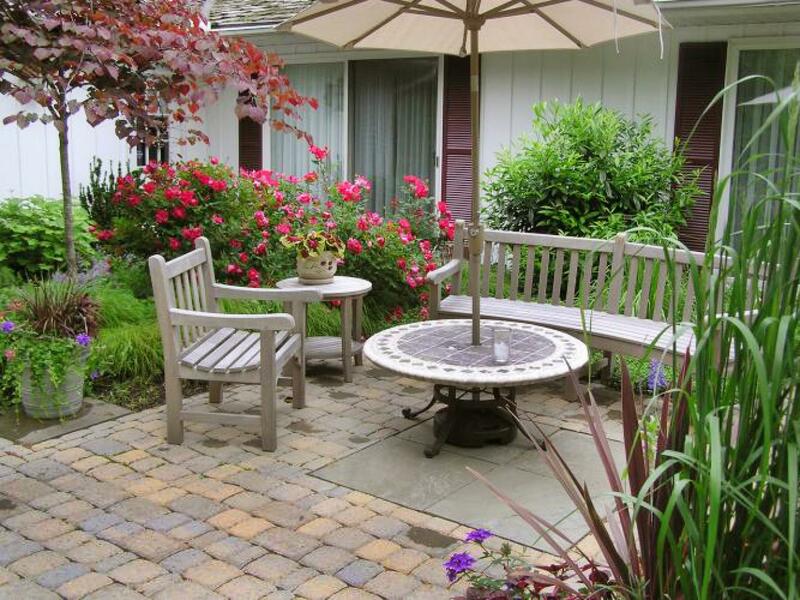 Be aware of the maintenance issues with this type of patio. You have to reapply the coating about every two years so it doesn’t lose its color. They can also show surface cracks and the color wears off in heavily trafficked areas. 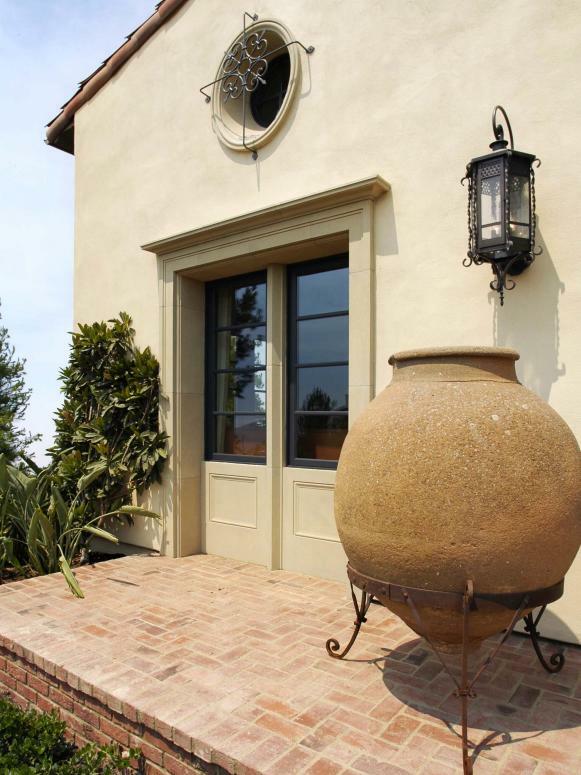 In frost-free zones, concrete is often the material of choice." "It's easy to put in and you can add exposed aggregate or even pieces of glass," says Monica Mroz landscape architect. The value of concrete is its price. "It’s the cheapest way to have a hard surface," says Derek Archer, landscape designer for Brentwood Landscape & Design. "And you can create any shape or size." 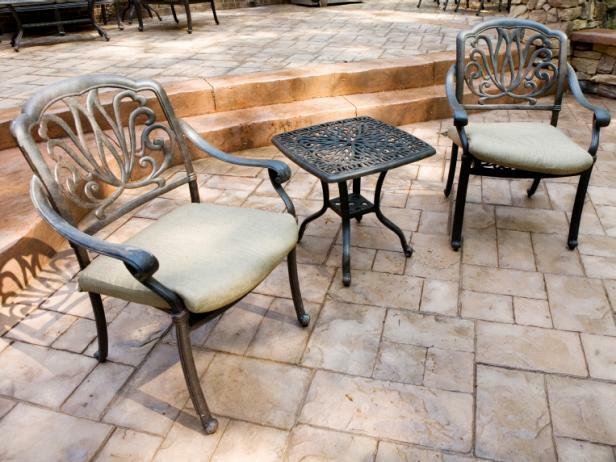 For a completely natural look, nothing beats natural stone for a patio. There are many different types of natural stone to choose from including flagstone, slate, bluestone and limestone. Natural stone costs more because it is quarried and has to be trucked in adding transportation costs. It costs more to install because it takes longer to lay down. The varying thicknesses mean that each piece has to be put in place then lifted so the bed it rests on can be raised or lowered to make it level. Let the materials you already have on your house dictate the type of material you might have on your patio. "If you have limestone on your house, then you might want limestone on your patio," says Derek. The paving product of choice for Colonial Williamsburg lends a charming, Old World look to a patio but its maintenance issues make it less of choice for today's outdoor living spaces. Brick is porous so it retains moisture. In freezing weather, it cracks so it has to be replaced. In shady areas, slippery moss grows on the bricks and it has to be scrubbed off using a bleach solution and brush. In sunny areas, the moss problem is not as profound but still grows and has to be cleaned off otherwise walking on it can be treacherous. There are now many different shapes, colors and patterns available in manufactured paving stones than ever before from such manufacturers as Belgard, Cambridge Paving Stones, Techo-Bloc and Nicolock. 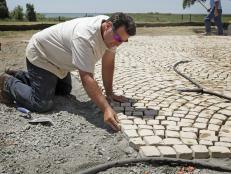 Even high-end homes now sport paving stone patios. "It's very accepted as being a nice product," says Joanne Kostecky, APLD, president of design/build firm, Garden Design, Inc. Pavers are modular pieces that are all the same thickness so they go down easily and quickly saving you time and money. 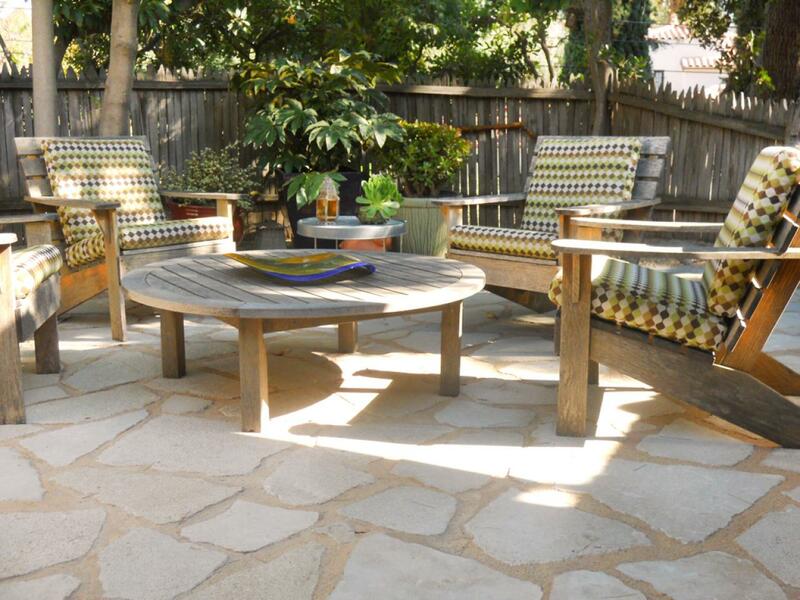 There are even circle kits that can allow for curving shapes and circle patios that are so easy, even DIYers can put in their own patio.